The Vernon family had lived at Hanbury for centuries. Richard Vernon was rector there before the Spanish Armada. Thomas, a sucessful chancery barrister, marked his success by building Hanbury Hall, a beautiful essay in redbrick Queen Anne, in the early years of the 18th century. Victorian Vernons added to the estates. Now, in the summer of 1940, that was all over. Sir George was the last of his line. He was a man of pronounced views, and after inheriting Hanbury in 1920 at the age of fifty-five, he took every opportunity to make them known. He wrote to the Times to complain about local taxes; he resigned as a magistrate because his colleagues were too lenient towards motorists who came up before them. 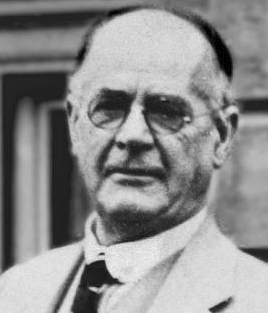 He loathed the Church of England and was active in the anti-tithe campaigns of the 1930s, to the extent that in June 1935 his refusal to pay tithes led to a forced sale of his goods in front of the Hall. It was through the anti-tithe campaign that Sir George became involved with Oswald Mosley and the the British Union of Fascists. In the early 1930s a number of leading British fascists saw the campaign as a way of garnering support among farmers, and the blackshirts were active in organising opposition to tithe seizures all over the country. Sir George was never a member of the BUF, but he sympathised with its aims, and Mosley became a regular visitor to Hanbury. Sir George combined extremist political views with an unconventional private life. In 1927, after separating from his wife of more than twenty years, he turned up at the house of his farm manager, Edward Powick, and asked to borrow Powick’s 16-year-old daughter Ruth for a few months. ‘Things are in a mess up at the Hall,’ he explained. Ruth lived with him for the rest of his life, becoming his secretary and his mistress. In 1938 she changed her name to Vernon and he made her his heir. He had no children of his own. ‘Sir George introduced me everywhere as his daughter’, she recalled. On 22 May 1940 the British government passed Defence Regulation 18B (1A), allowing the detention without trial of anyone believed to be ‘of hostile origin or associations or to have been recently concerned in acts prejudicial to the public safety or the defence of the realm’. 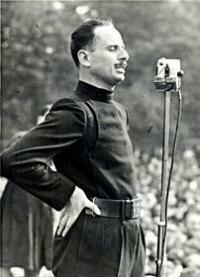 Early the next morning Oswald Mosley was arrested, along with other leading figures in the movement. ‘Britain Swoops on Fascists’, reported the popular press, which carried front-page pictures of BUF members giving defiant salutes as they were led away by police. Over the following months around one thousand active members of the British Union were interned, along with an unknown number of far right sympathisers. Sir George thought his own arrest was imminent. It was this, coupled with his poor health – he was variously described as having heart disease and throat cancer – that led the 74-year-old squire to close his bedroom door on the world that day in June 1940 and take his own life. Ruth married six years later and lived happily ever after – although not at Hanbury Hall, because Sir George’s widow moved back in after her husband’s death. The house passed to the National Trust in 1953.